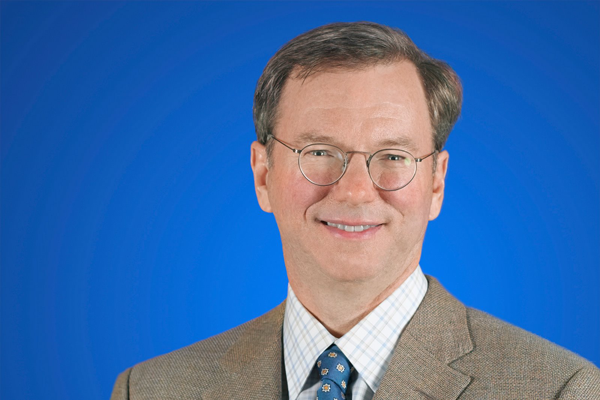 Google executive Eric Schmidt has said his company will support HTC in its legal battle with Apple, and accused the company —where he was once a board member —for "responding with lawsuits" rather than innovating. Schmidt's comments came during a speech given Tuesday at the Google Mobile Revolution conference in Tokyo, Japan. The former CEO and current executive chairman said his company will "make sure" that HTC doesn't lose its patent infringement suit with Apple, according to ZDNet Asia. He then went on to criticize Apple's decision to sue competitors, though he didn't name the Cupertino, Calif., company by name. Schmidt was previously a member of Apple's board of directors, but left in August 2009 due to growing competition between the iPhone and devices running Android. "We have seen an explosion of Android devices entering the market and, because of our successes, competitors are responding with lawsuits as they cannot respond through innovations," Schmidt reportedly said. "I'm not too worried about this." Schmidt's comments echo those made a week ago by a spokesperson for HTC, who said officials at the company are "disappointed" that Apple is suing competitors "instead of competing fairly in the market." That came in response to a new patent complaint just filed with the U.S. International Trade Commission by Apple against HTC. Only days after Apple lodged its latest complaint, the ITC ruled in favor of Apple in a separate lawsuit. An initial ruling from an ITC judge found that HTC's handsets illegally violate two patented inventions owned by Apple. The judge's findings are subject to review by the full commission. Speaking Tuesday, Schmidt remained confident that HTC would be able to overturn the ITC decision. He reportedly said that Google will support HTC in the ongoing legal battle, but declined to offer further details. Schmidt jokingly characterized disputes with Apple and other companies as "legal fun." But those lawsuits have had real consequences for companies like HTC, which is already involved in a costly licensing agreement with Microsoft. Microsoft is believed to collect about $5 per unit for every Android device that HTC sells. It's a deal so lucrative that it's caused some pundits to speculate that Microsoft earns more from Android than it does off its own Windows Phone 7 platform. And with its initial victory over HTC, Apple may also carve out a piece of the Android pie, as at least one analyst believes Apple could set a high royalty precedent with a definitive victory over the Taiwanese handset maker. That could pave the way for Apple to collect revenue from other, larger Android device makers like Motorola and Samsung. Even smaller vendors are said to be concerned over legal threats to Android. One report from earlier Tuesday suggested that some Chinese device makers like Huawei and ZTE could shift toward Microsoft's Windows Phone 7 platform and away from Android.